Will Tax Incentive On Two-Wheeled Electric Vehicles Be Renewed in 2017? With a new administration comes change and one of the questions consumers may be asking themselves is if the expired tax incentive on two-wheel vehicles will be renewed. On December 31, 2016, the Electric Motorcycle Federal Tax Credit expired, but consumers are left wondering if – like has been the case with the current administration, it will be renewed. Electric vehicles (including electric motorcycles) face an uncertain future in regards to tax incentives and federal refund eligibility. With the future administration showing limited interest in existing policy, the current 10% federal tax refunds for new and used purchases expired December 31, 2016, representing up to $2,500 in lose incentives on the purchase price of a zero Motorcycle. In addition to The Electric Motorcycle Federal Tax Credit, also known as the 2-wheeled plug-in tax credit, many states offer incentives, making the purchase of a zero even more attractive. Regardless of any one personal or political reason, there is a substantial cost benefit of riding an electric zero Motorcycle compared to its gas counterpart. Much like TESLA has changed the public’s perception of electric-powered vehicles, so too has ZERO Motorcycles. 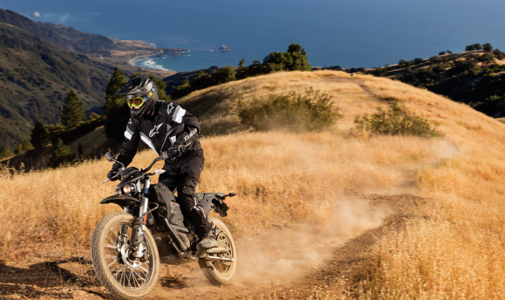 ZERO Motorcycles produces a 100% electric powertrain motorcycles and electric motorcycles offer less pollution, greater efficiency and significantly reduce CO2 and noxious fumes emissions. Knowing that all consumers currently shopping zero-emissions motor vehicles will be facing similar financial uncertainty heading into 2017, it’s a topic that must be discussed due to the interest electric vehicles have obtained over the last decade. Two electric motorcycle teams made cross-country trips across the U.S. this week. Terry Hershner, a green energy and electric vehicle advocate, took a solo trip from San Diego, Calif. to Jacksonville, Fla., riding a modified 2012 Zero S. The other, Team Moto Electra, took a replica vintage Norton Featherbed, that was electrified by Brian Richardson and a James Madison University team led by Dr. Robert Prins. Hershner set out very early on May 31 from San Diego, and reached Jacksonville on June 5. He ran into a few snags, such as traffic accidents stalling traffic for miles, a large rainstorm in Texas, and a serious problem when the motor failed. Fixing the problem required the overnight delivery of a replacement motor from Zero Motorcycles, and late night motorcycle surgery by Hershner. Total travel time was 5 days 15 hours—including the 40 hours required for the roadside motor-ectomy, to cover 2,659 miles. Daytona International Speedway this weekend was host to the thundering sound of quiet electric motorcycle racing action with the 2012 TTXGP World Championship race. In an exciting race on Sunday morning, Steve Atlas took home the World Championship title for Brammo, winning it from two-time Champion Matthias Himmelmann of Muench Racing who came in 2nd. The weekend saw an amazing performance by both Brammo riders who, during practice sessions, were hitting speeds in the high 160's (miles/hr) and Eric Bostrom was recorded at 170.1 miles/hr. This speed is nothing short of amazing for electric motorcycles, and just two years ago Lightning Motorcycles set the electric motorcycle land speed record at Bonneville Salt Flats in the low 170'ss. Lightning Motorcycles went on in 2011 to set the land speed record for electric motorcycles at 216 miles/hr. Also, earlier this summer Larry McBride riding the Lawless Rocket hit 200 miles/hr with an electric motorcycle in a drag race. However these speeds by the Brammo boys were in regular track racing conditions, and while abetted by the long straightaways of the Daytona Speedway represents another milestone in electric motorcycle performance. For Sunday's race the team dialed the power back slightly but was still targeting top speeds in the high 160's, with Steve Atlas apparently hitting 169 miles/hr. It's believed these speeds are the fastest speeds ever recorded for an electric motorcycle in race conditions. The future is now as Daytona International Speedway prepares to host its first emissions-free race Sunday. The Time Trial Extreme Grand Prix, a three-continent series that features electric-powered motorcycles, will stage a five-lap sprint race over Daytona's 3.56-mile road course. “This is something new and special and appropriate it should happen at Daytona,” Speedway president Joie Chitwood III said. These bikes are quiet but they are not hush puppies.